Image the most beautiful day in the summer. When the sun sets, you're drinking on the terrace and enjoying the view. Suddenly you feel something itchy on your arm; you just got stung by a mosquito (Anopheles gambiae). Say goodbye to your beautiful summer evening and hello to an annoying scratching bumb. OneCoreSoft has the perfect solution for this; Mosquito Defence. 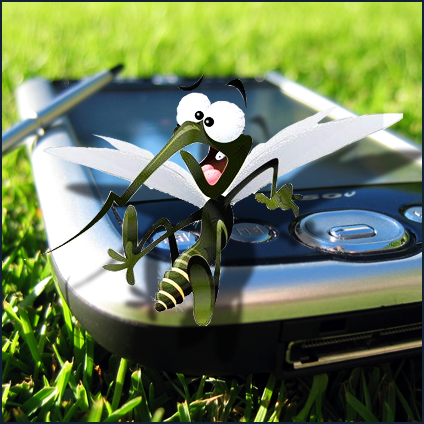 Install the program on your pocket PC and those mosquitos will not bother you anymore. Once the program is installed, your pocket PC will generate an ultrasonic sound. As you'd probably already know, do only the female mosquitos sting. When those mosquitos are hunting for blood, they're trying to avoid male mosquitos. That's why the ultrasonic sound is the sound of a male moquito, alltough it's impossible to hear with the human ear. A couple of users from Pocketnow are testing this application. You can buy the program yourself for only six dollars on the site of Handago. More information about the program and compatibility can be found there.